Good morning lovely readers, I've been busy blogging since March now. I love writing and interacting with my lovely followers even though its a bit of struggle to get as much blogged as I'd like to in a week juggling the 9 to 5. I entered into blogging because I love writing. University was a tough decision between English and History, I opted for History and found work as a Project Manager in Archival Film and Television when I graduated so no regrets there! However I still needed to find an outlet for my writing ambitions and blogging has been perfect in this respect. I've also written and continue to write lifestyle articles for various magazines as well as publishing research in the field of history. Oh and I'm also writing a book! When I started blogging I knew I didn't want to give it just 50% effort, that's just not my style. However I was also realistic in recognising that establishing a readership and following is a long and dedicated process. I've started by working on the foundations, commissioning a clear and concise blog design thanks to Pretty Wild Things designs creating clear branding, logos and overall layout. I've slowly taught myself HTML coding, I'm a book person not a tech person so this was a steep learning curve but I quickly learnt to create widgets and interactive buttons for my blog. I've also made sure to interact as much as possible with my fellow bloggers, brands and networks via social media. I was a bit of a Twitter-phobe but having recognised it's value in blogging I have embraced it wholly and met a great number of inspiring bloggers and designers as a result. My ethos has always been to aim high and never to step on others in your long journey to the top. Surely it's better to work as a team then to try and go it alone? That's why I will always support the work of other bloggers. After all it's the shared insights and collaborative efforts in blogging are what keeps us all going when we feel like giving up! 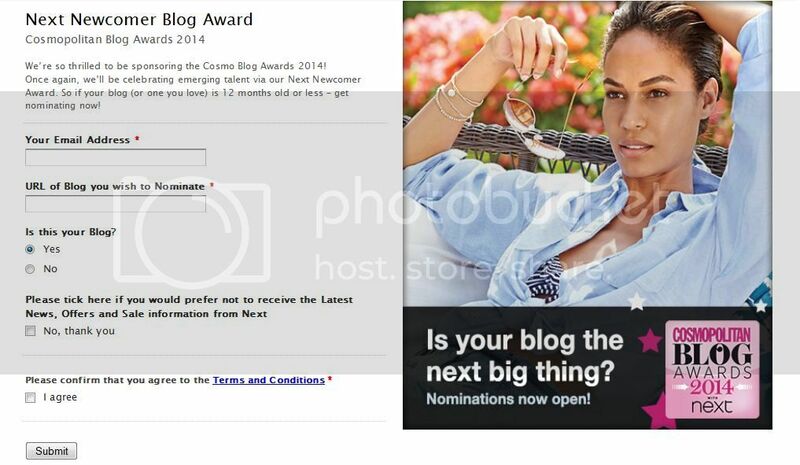 My next step in blogging is to ask you, my friends, my family, the postman... pretty much anyone I can to vote for my blog in the Cosmopolitan Blog Awards 2014 in association with NEXT. I'm aiming high here but still being realistic, I would simply love to be shortlisted in the Best Newcomer category which is for blogs running for under 12 months. I won't be able to enter this category next year which is why I'm giving it my best shot now. 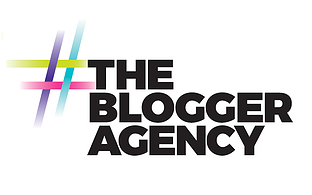 It would mean the world to me to get onto that shortlist and if any of my fellow bloggers are also entering and would like to count on my vote for their blog please leave a comment below and I will be happy to do so. On a related note I will be making the journey to London from the South West in order to attend the Cosmopolitan Super Bloggers Masterclass in London next month. The Masterclass includes talks and Q&A sessions with Vicki Fogwill who is the Social Media Manager for Next alongside Fashion VloggerFleur De Force Beauty, Kat Williams founder of cult wedding site Rocknrollbride.com and Joe Williams and Ali Luke from Zen Optimise and DailyBlogTips. I appreciate that there are a lot of bloggers who would really benefit from the insights of those involved but wo'nt be able to attend due to whatever reasons. Therefore I will be posting detailed notes of the event on my blog for people to take a look at. If you would like to be notified of this post or emailed a copy of the Masterclass notes directly then please leave your details in a comment below.